Secluded open concept 3 bedroom 1.5 bath colonial on .64 private acre lot with outstanding views on a cul-de-sac. Main level offer open concept with refinished hard wood floors. Living room, kitchen & dining area with hardwood floors and half bath. 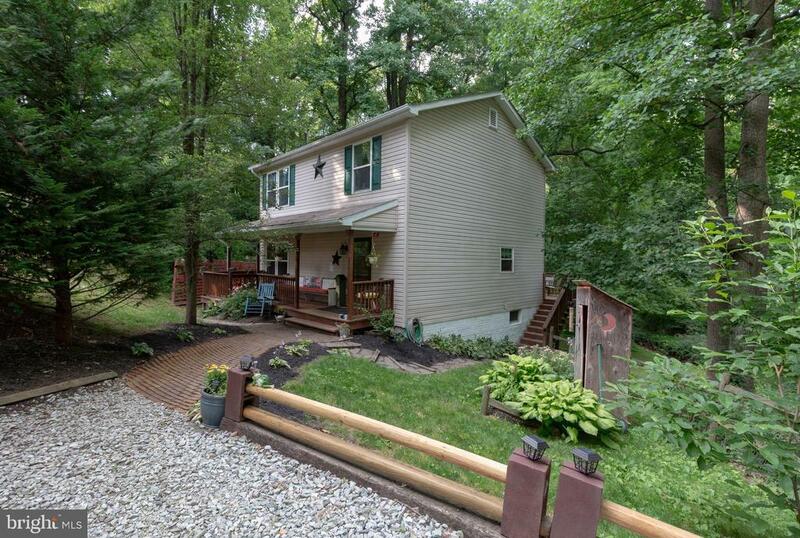 Access from dining area to large deck with views over creek. Upper level 3 bedrooms and 1 bath with new carpet. Lower level features finished rec room with walk out access as well as bonus room for potential bedroom space or office. Large shed as well and plenty of vehicle parking. Directions: Route 16 to Old Waynesboro Road. Right On Barbara Trail. Right on Carol Trail. Right on Colleen Trail. left on Trudy Trail to end of cul de sac. Exclusions: Electric fireplace and mantle in basement rec room. Courtesy of Shank & Associates Realty Llc, Richard L Shank Jr.